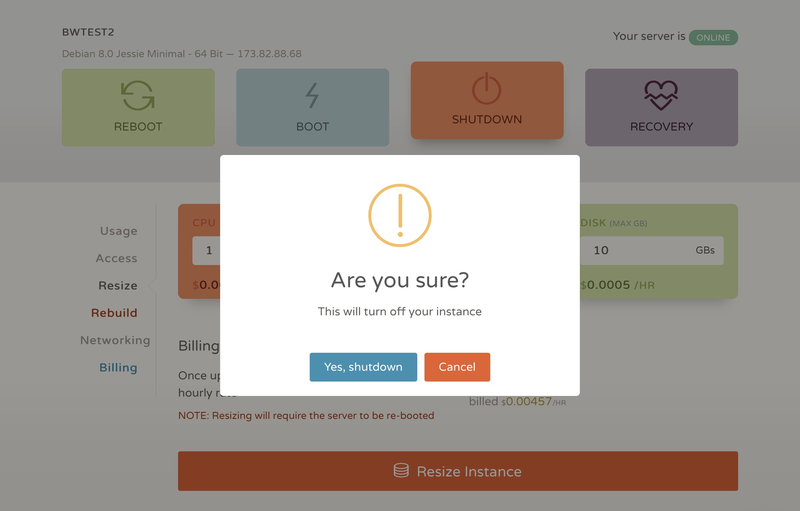 This article will explain how you can easily boot, reboot and shutdown your instance. 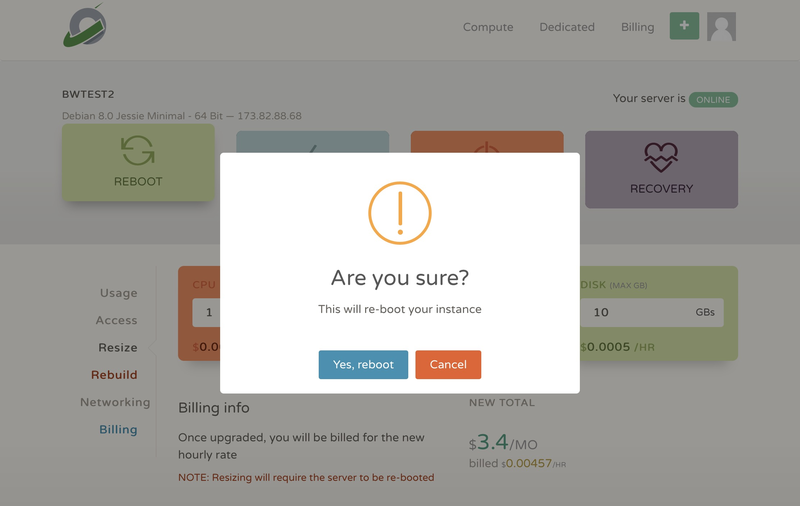 Go to your instance management page by clicking on the Manage button of your server on the Compute page and click on the REBOOT button. You will be asked to verify your action. Click on Yes, reboot. The rebooting process will generally take around 30 to 40 seconds and your server will be offline during this period. Go to your instance management page by clicking on the Manage button of your server on the Compute page and click on the SHUTDOWN button. You will be asked to verify your action. Click on Yes, shutdown. 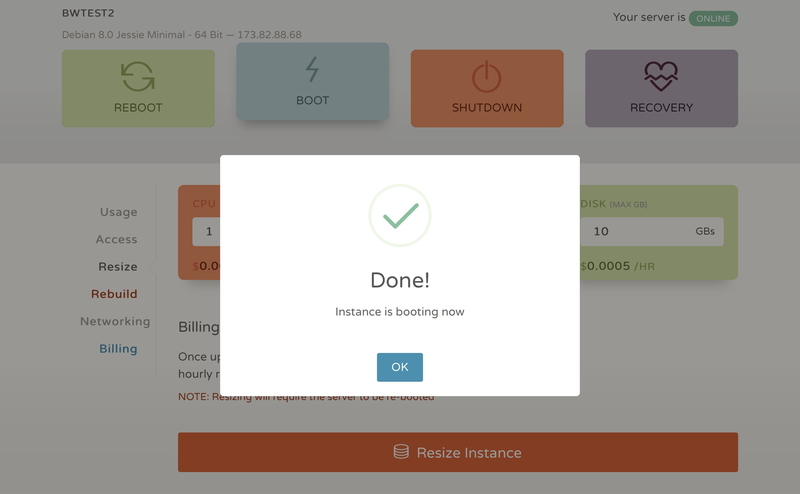 Your instance will go offline and to use it again you will need to boot it. Go to your instance management page by clicking on the Manage button of your server on the Compute page and click on the BOOT button. It will take around 30 seconds for your server to boot and come online.